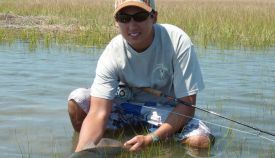 Just put the wraps on the 10th Annual Golden Isles Redbone and Super Fly Tournament. 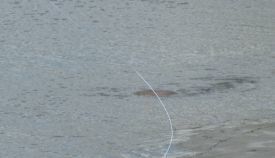 The past three days haven't been the best of conditions to be fishing in much less fly fishing! NE winds blowing at 20 to 25 with gusts to 40! 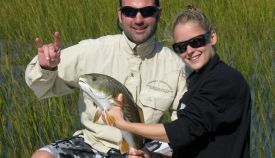 Capt Greg was able to boat 3 redfish on the fly and have 7 more eats! He guided his anglers to a 2nd place finish in the Super Fly - the guys that beat them had to drive to South Carolina to do it! 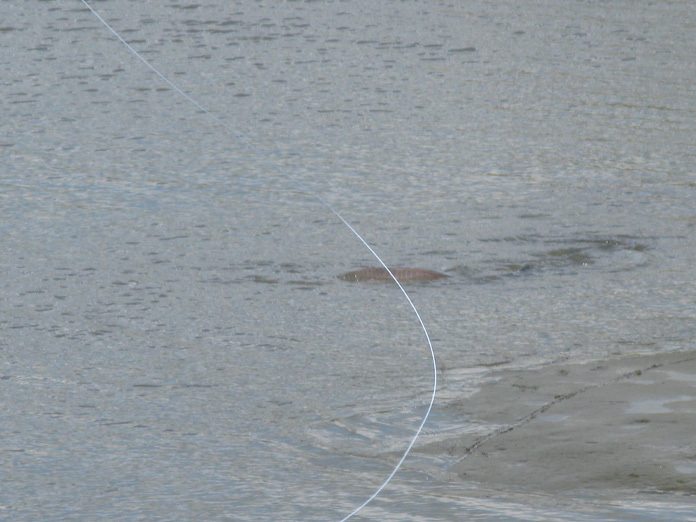 Capt Mike guided his anglers to a 1st place finish in the Redbone fly division by having his anglers dredge out some nice speckled trout on sinking lines. 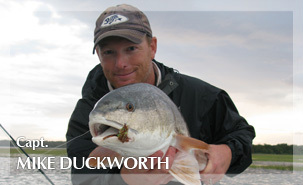 The weather should be clearing out soon and another good round of tailing redfish tides await! 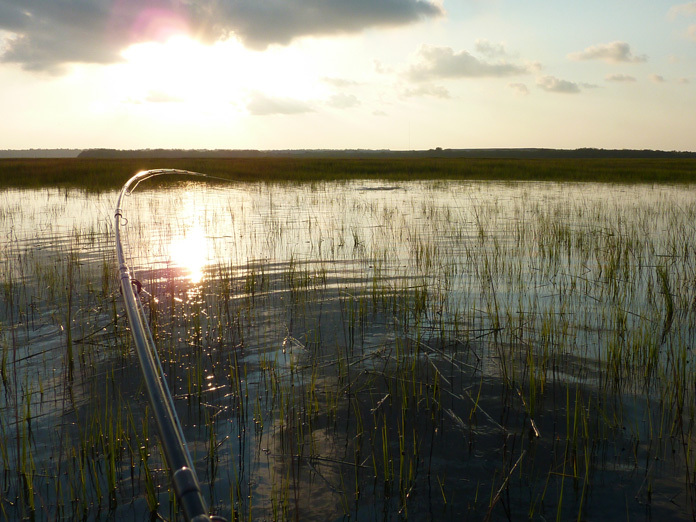 We love catching redfish on fly around St Simons Island but there is no debating 'flood tide fishing' in the spartina grass is our favorite way to fish... and the tides are perfect for early morning and mid-day trips through early October. 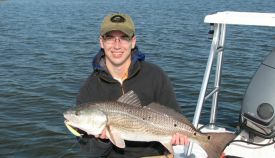 Here's a nice redfish caught while fun-fishing Friday afternoon. 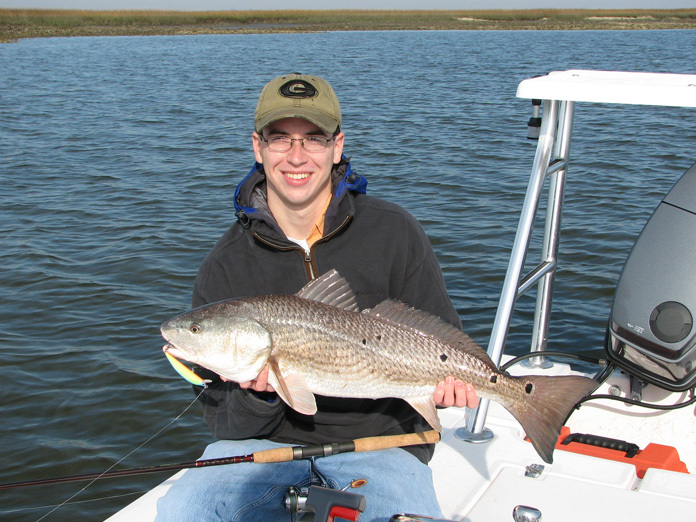 St Simons Island flood tide fishing is on! 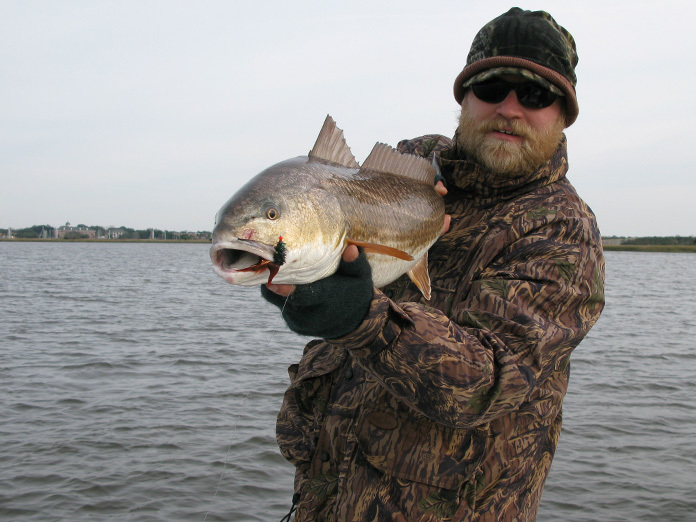 The high tides and brisk NE winds have kept the redfish in the grass all week. These fish are fat, dumb and willing to eat just about anything thrown at them. 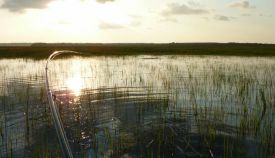 This unique fishery is winding down for now but will be back in full swing toward the end of September! 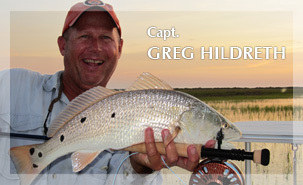 Legendary fly fisherman, Chico Fernandez, fished with Capt Greg and Capt Mike this morning. 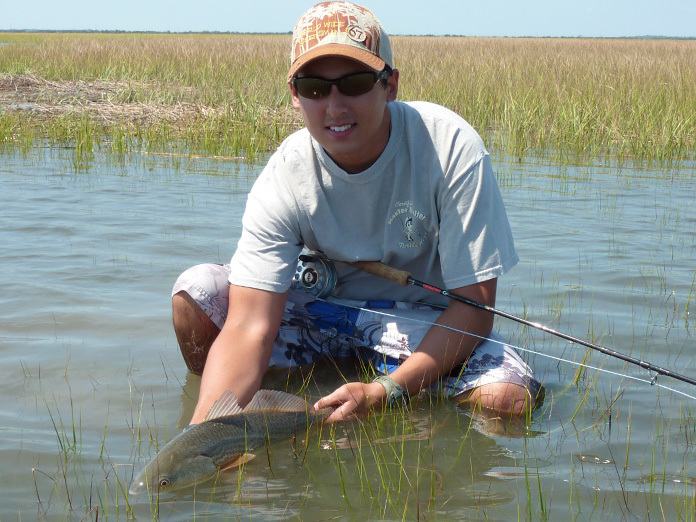 We had a great trip and Chico got his first tailing redfish in the Spartina grass. Back at it "in the salad" tomorrow! 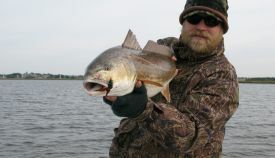 Had a good day today with several redfish on fly. The water was a bit muddy but the fish were cooperating with a couple aggressive eats right at the boat with the nail knot in the guides! Nice way to start December.